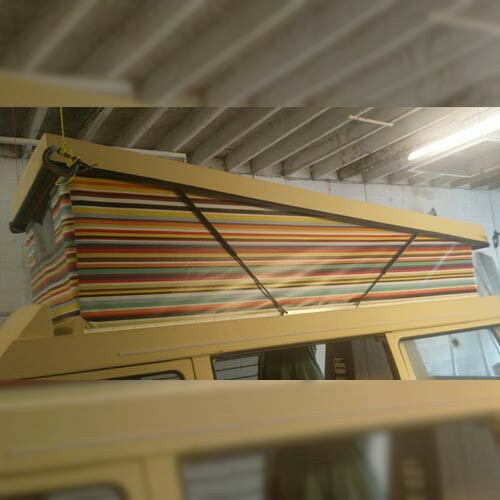 This product is a replacement pop top roof canvas for the T25 Devon Conversion. 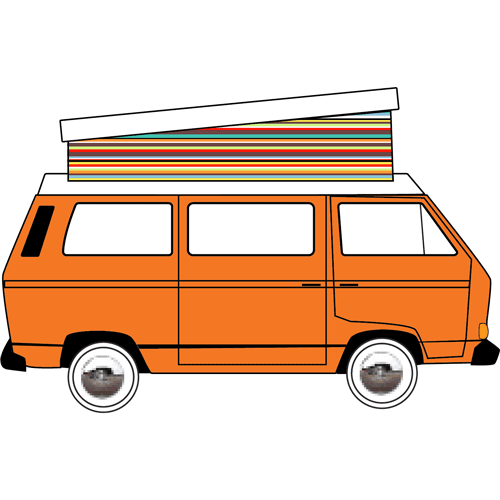 This product is a replacement pop top roof canvas for the T25 Devon conversion. It is one of two types of roof conversion from Devon for the T25, it has a vertical lift with the front being slight higher that the rear. The original material used on the T25 Devon vertical roof conversions was yellow PVC type material (very similar to ours) with a PVC see through window on the front. 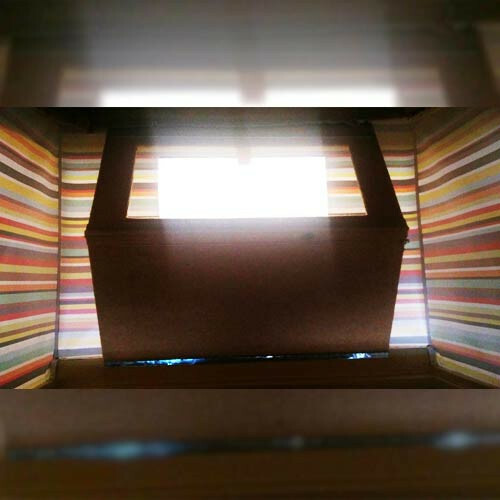 The canvas is supplied with a clear PVC window at the front as standard; we can add a pair of side windows on the side for additional £75. Type of Material used to making the pop tops. For more information on these materials please check the ‘Knowledge Base’ for detailed information and to find out the differences between the materials. If you are unsure of what pop top roof you have please send images of your vehicle so we can help to advise what roof conversion you have. If we are not 100% sure of what roof conversion you have we will still be able to supply you with a pop top canvas but will ideally need measurements and your old canvas. Please see ‘Custom Canvas’ product page to see more information regarding measurements for a custom canvas. Here at ProudtoPop most of our products are made to order. Many even get fabric specially printed first, before we can start to make them. This means that most products have a 2-3 week lead time. 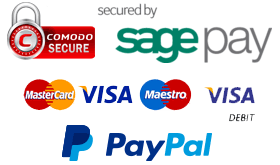 For other areas please add you item to your shopping basket and enter your details for a shipping quote. If you aren't given a shipping price for delivery, you can still place an order. We will then give you a shipping quote, at which point you can choose to proceed with your order or cancel. We can't accept returns on any Made to Order Products, this includes all Sun Canopies, Roof Canvasses, Door Cards, Blind Sets, Bunks, etc... So please make sure you order the correct parts, if you are in any doubt feel free to contact us.